Carroll Valley Computers provides several different services. We have been providing web developement and web hosting since 2005. We can also do custom programing, mobile development and guidance for computer security issues. While no project is too small, our network of designers, programers and system administrators means we can handle large projects as well. Carroll Valley Computers prides itself on staying abreast of the trends in software and hardware. Let us help you make sure your business has all of the advantages it can. 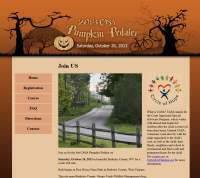 The CASA Pumpkin Pedaler site is live. Check out the race - the money goes to a great cause. 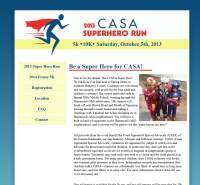 The CASA of the Eastern Panhandle Runs site is live. We are going to have two events on this site. The first event in the fall is accepting signups. Register today to support a great cause.